Today 18th of Nisan (April 1st – April 2nd) is the death anniversary of a great Tzaddik, Kabbalist, Leader and Teacher. Rabbi Brandwein, is a direct descendant of the famous first Admor of Stretin, Rabbi Yehudah Tzvi of Stretin. 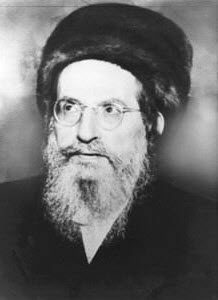 Rabbi Yehudah Tzvi Brandwein was a foremost disciple of Rabbi Yehudah HaLevi Ashlag (Baal HaSulam). His vast knowledge of the Lurianic system of Kabbalah enabled him to codify and edit the entire writings of the Ari HaKadosh, Rabbi Yitzchak Luria. He continued with a similar style of translation and commentary of Rabbi Yehudah Ashlag known as Maalot HaSulam (Extension of the Ladder) on those works of Rabbi Shimon bar Yochai, that Rabbi Ashlag didn’t complete during his lifetime, namely Hashmatot HaZohar and Tikkunei HaZohar. The DailyZohar draws a lot from his translation and commentary of Tikkunei Zohar. Light a candle to connect to his great soul. May we have the merit to draw light from the gates he opened for us, understand his teachings and bring the complete Tikkunei Zohar on DailyZohar.com, Amen.